Choices Flooring by Aggenbachs are the polished concrete specialists in North-East Victoria, utilising the latest in diamond grinding technology. 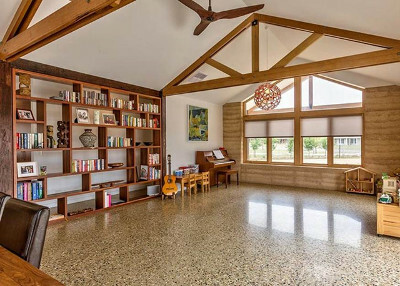 Polished concrete is a visually stunning and durable finish which has become a popular choice for residential and commercial applications. 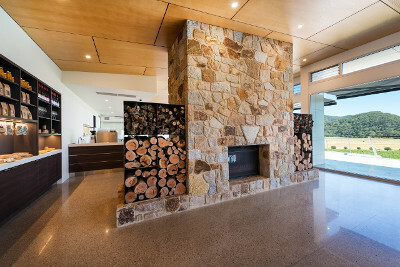 Chrismont Winery of King Valley, Victoria – Image courtesy of Matt Mallet. Approximately how long does it take to polish concrete? This, of course, depends on the area you wish to polish. Our typical job takes 3-4 days from start to finish. How much mess can I expect? While the initial grind can be somewhat messy, our equipment is designed to minimise airborne grind particles. 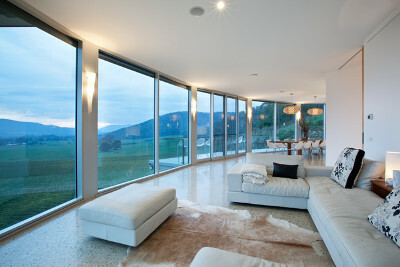 The cost of polishing concrete is comparable to high end tiles and timber floors. Do I need to do anything to prepare the floors before polishing? For new homes we can consult with your concreter to advise specifications required for the concrete. What colour should I expect my floors to polish to? The finished colour will depend on the aggregate (stone) added to the concrete. Again, for new homes, we can consult with your concreter if you are looking for a particular colour profile. Do you add any finishing product (e.g. sealant) to the floor? A defend sealing coat is applied to protect the concrete. Does the floor need to be refinished periodically? No there is no need to reseal. The surface does patinas out with use but this can be buffed to rejuvenate the shine. How do I maintain and/or clean polished concrete? Polished concrete is very easy to maintain – simply vacuum and mop with ph neutral soap. We service the North East of Victoria, including Wangaratta, Yarrawonga, Beechworth, Benalla, Myrtleford, Bright, Falls Creek, Mansfield, Mt Hotham and Dinner Plain. Other locations upon request.